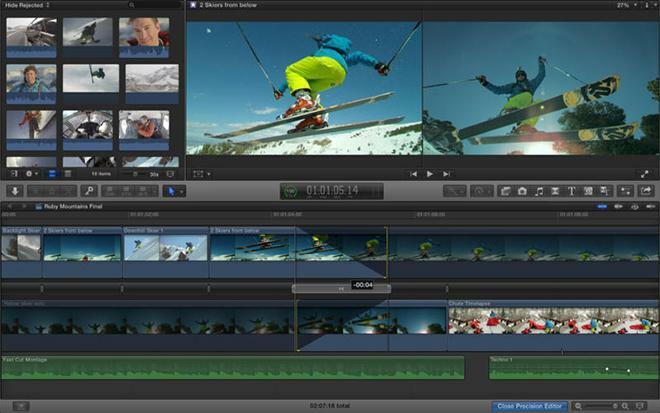 Hot on the heels of Thursday's Mac Pro release, Apple updated its flagship Final Cut Pro video editing software with tweaks and additions tailored to take advantage of the new desktop's capabilities. Final Cut Pro hit version 10.1 with the update and brings a slew of optimizations, performance enhancements and user interface changes targeted at high-end hardware, like the redesigned Mac Pro. Among the added features, Mac Pro-specific assets include optimization for the computer's standard dual-GPU setup, as well as video monitoring at up to 4K resolutions via Thunderbolt 2 and HDMI. In addition to the above improvements, the latest Final Cut Pro now offers direct 4K shares to YouTube, iOS photo importing, FxPlug 3 with custom plug-in interfaces and dual-GPU support, and more. Apple's Final Cut Pro version 10.1 can be purchased now through the Mac App Store for $299.99, or as a free download for existing customers.